By IPPNW* – Nuclear weapons are the most destructive, most indiscriminate, most inhumane instruments of mass murder ever created. Their use—and even their possession—goes against every principle of international humanitarian law. In fact, it is likely that humanity could not survive a nuclear war using even a fraction of the arsenals in existence today. The term “catastrophic humanitarian consequences” defines the unique and horrifying effects of nuclear weapons. The only natural events to which a nuclear explosion can be compared are massive earthquakes, hurricanes, volcanic eruptions, and similar disasters that result in thousands of casualties and cause catastrophic environmental damage. Unlike natural disasters, however, the consequences of nuclear weapons use—including lethal harm from radiation and climate disruption to millions of people who are not party to the conflicts in which they are used—are the result of human decisions. They can be prevented by a human decision to eliminate nuclear weapons and to ban them from ever being produced again. Why are nuclear weapons are in a class by themselves, and why do we have to consider them separately from other weapons that kill and destroy on a large scale? First, even a single nuclear explosion over a city can kill tens of thousands — even hundreds of thousands — of people immediately. The casualties of a nuclear war in which even a small fraction of today’s arsenals are used would reach into the tens of millions. Second, nuclear weapons eradicate the social infrastructure required for recovery from conflict. Roads and transportation systems, hospitals and pharmacies, fire fighting equipment, and communications would all lie in rubble throughout a zone of complete destruction extending for miles. Third, nuclear weapons explosions have extreme and long-lasting environmental consequences, including disruption of the Earth’s climate and agricultural productivity. What makes nuclear weapons uniquely abhorrent is the ionizing radiation they release as a result of the uncontrolled chain reaction of fissile materials. Exposure to ionizing radiation causes both acute (immediate) and long term health effects. Finally, there are numerous ways in which nuclear weapons cause extensive harm to health and the environment even if they are not used in war. The front end of the nuclear chain—the mining and processing of uranium that provides the fuel for nuclear weapons—has devastating health consequences for those who work in the mines and mills and for their families. There is also an enormous diversion of resources into the research and development, production, and deployment of warheads and their delivery systems, at the expense of real human and social needs that are inexcusably underfunded. World spending on nuclear weapons surpasses $100 billion every year. By contrast, the Stockholm International Peace Research Institute has estimated that it would take $135 billion to fully achieve the Millennium Development Goals. Instead, each of the nine nuclear-weapons states is engaging in large, expensive programs to modernize its nuclear forces and to ensure that they will continue to endanger us all for decades to come. In November 2011, the International Red Cross and Red Crescent Movement also referred to catastrophic humanitarian consequences when it adopted a new resolution condemning nuclear weapons and calling for international agreements to prevent their use and to ensure their elimination. 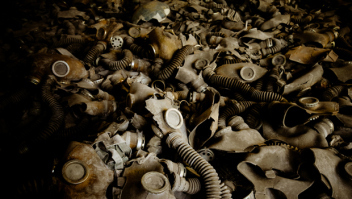 In 2012, the humanitarian grounds for eliminating nuclear weapons became a focal point for States determined to accelerate the pace of disarmament. A group of 16 States submitted a ground-breaking joint statement on the humanitarian dimension of nuclear disarmament” at the NPT PrepCom in Vienna. Norway will host an international conference on the humanitarian consequences of nuclear weapons on 4-5 March 2013. ICAN is organizing a parallel, civil society conference on 2-3 March. Both conferences are seen as a new opportunity to jumpstart a multi-State process for a treaty to ban and eliminate nuclear weapons. *This report was published on International Physicians for the Prevention of Nuclear War (IPPNW), a non-partisan federation of national medical organizations in 62 countries, representing tens of thousands of doctors, medical students, other health workers, and concerned citizens who share the common goal of creating a more peaceful and secure world freed from the threat of nuclear annihilation. Go to Original. IPPNW was founded in 1980 by physicians from the United States and the former Soviet Union who shared a common commitment to the prevention of nuclear war between their two countries. Citing the first principal of the medical profession—that doctors have an obligation to prevent what they cannot treat—a global federation of physician experts came together to explain the medical and scientific facts about nuclear war to policy makers and to the public, and to advocate for the elimination of nuclear weapons from the world’s arsenals. IPPNW received the Nobel Peace Prize in 1985.